The Anywhere Case is an agile work tool that allows you to work more effectively in different working environments or locations. It provides a personal area to organise your desk top efficiently, especially in shared working environments which focus on activity based working. 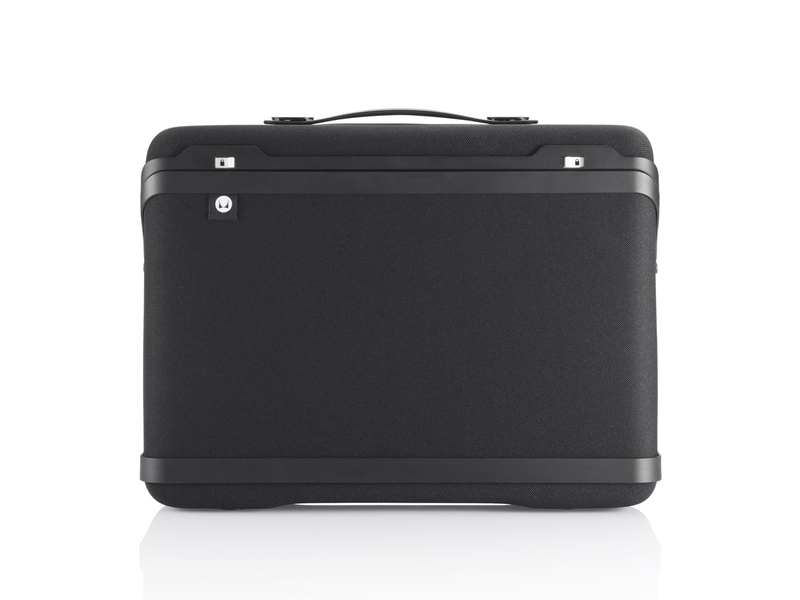 Weighing less than 1kg, the Anywhere Case is compact and lightweight. Manufactured by thermoforming EVA fabric mouldings, the same processes involved in manufacturing American football padding, results in a lightweight yet hardwearing product. Able to store up to 4kg in weight the Anywhere Case allows all the workplace essentials such as laptop, tablet, mobile, documents and stationery to be easily transported with you. Positioned horizontally or vertically on the desktop, Anywhere Case provides a convenient and unobtrusive space to arrange stationery, notepads, business cards, paperwork and documents, enabling the user to work in a compact, efficient and effective manner, anywhere. Herman Miller understand that the workplace is changing. As nomadic or activity based working increases and new technologies are embraced, a new set of tools are required. The Anywhere Case allows you the freedom to work anywhere, anytime, whilst always having the essentials at hand. The products design utilises two well established manufacturing techniques (compression and injection moulding) and combines them in an unconventional way to create a new workplace product type. As the workspace becomes more fluid and we move from the traditional fixed working environments to spaces that are flexible, and encourage you to work in different settings – perhaps moving between a company office and your home, or a life on the road. Having the right tools to support this movement has become essential.